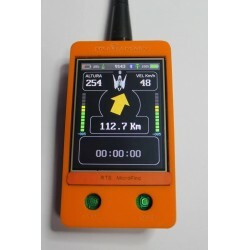 UHF transmitter + GPS via the Radio + GPS Tracker via mobile + Altimetro in real-time + Thermometer + Sensor + distance Mode indicating the direction and the height of the bird in real time, Disconnecting remote via radio and... much more. By buying this product you can collect up to 158 points . Your cart will total 158 points that can be converted into a voucher of 31,60 € . 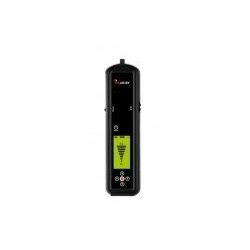 with any receiver in the market of UHF, locate it via radio without cost in areas without GSM coverage, analysis of their kinetic behavior, see temperatures and at great heights, and an endless number of utilities. RTS means Radio Telephone, and Satellite. The most advanced technology for falconry. Receiver multi-function , high performance and very small size. Intuitive keypad and compact, it has just five buttons to access all functions quickly and intuitively. Wide frequency range from 430 Mhz to 436.500 MHz, (to 13,000 channels) allowing us to insert thousands of issuers, and to tune to transmitters of other manufacturers. Memorization directly from the transmitters to not have to tune in each search. Sound adjustable of the signal that enters from the issuer. Easy and intuitive handling, with a single hand allows us to use in a comfortable way, their exclusive system of automatic search will help us in all times to locate the issuer of a reliably and accurately, without the need of great knowledge in the management of teams of radiotraking. Illumination selectable display for searches at night, incorporating diodes tricolor of low consumption and high brightness. Resistant to rain using your accessory, cover, protective screen and keyboard, in the position of normal use. Screen Protector, screen printed and waterproof that allows us to customize the receiver RTS, to protect it from the rain and clean it with ease. Module-mail that gets a directivity spectacular in the receiver mode digital and analog mode(even indoors). 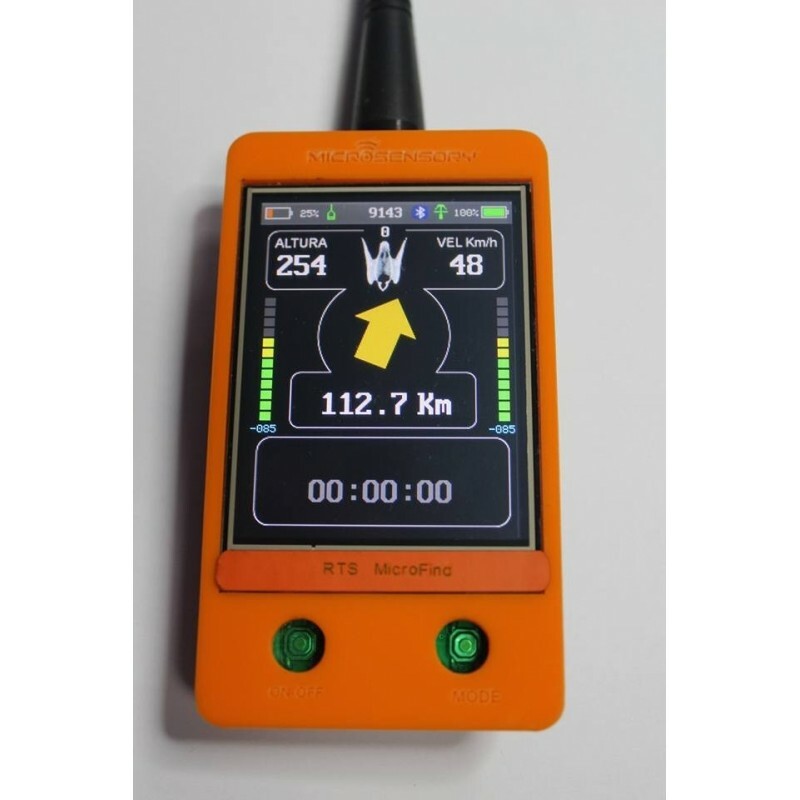 Description: UHF transmitter + GPS via the Radio + GPS Tracker via mobile + Altimetro in real-time + Thermometer + Sensor + distance Mode indicating the direction and the height of the bird in real time, Disconnecting remote via radio and... much more.